What is DEF, and What is DEF Used For? Diesel Exhaust Fluid (known as DEF) is a solution composed of 67.5% de-ionized water and 32.5% urea, which is used with SCR (Selective Catalytic Reduction) to break down nitrogen oxide (NOx) emissions from diesel vehicles. DEF works by breaking down the nitrous oxide in exhaust steam into nitrogen and water. DEF is sprayed into the exhaust of diesel vehicles, where it breaks down the NOx in the exhaust steam into nitrogen and water. Selective Catalytic Reduction (SCR) is a technology used in diesel engines that allows the diesel exhaust fluid from the system’s DEF tank to be sprayed into the exhaust of the engine. Through chemical reactions with the DEF fluid, this technology breaks NOx emissions from diesel engines into nitrogen and water. This can help reduce NOx emissions by up to 90 percent. Do I Need DEF to Use My Vehicle? Currently, the EPA has regulations in place that require diesel trucks to have DEF in the appropriate tank in order to run properly. Engines using DEF will have indicators similar to those of a fuel tank. If the tank is low, a warning light will alert the driver. For many vehicles, if the tank is empty, the vehicle will run with a maximum speed of 5mph until refilled. The same is often true for vehicles that have contaminated DEF in the tank. If your business depends on diesel engines utilizing DEF, keeping an ample supply is critical to your operations. For every vehicle that runs out of DEF, your operations could face substantial downtime and the potential for damaged SCR systems which can be expensive to repair or replace. This can be especially costly when paying drivers who are unable to drive their vehicles because of DEF issues. How Much Fluid Will My Engine Need? DEF consumption is measured relative to diesel consumption, with many fleets reporting an average “treat rate” of 2.25% of fuel economy. This would mean a vehicle with a 4.5 mpg fuel economy would consume roughly 1 gallon of diesel exhaust fluid every 200 miles. Where Can I Find DEF & Pricing Information? Like most fuels, additives, and conditioners, DEF pricing varies depending on market conditions. Foster Fuels is proud to offer DEF solutions to businesses of all sizes. Our options are customized to your needs—we offer DEF in all sizes and quantities, and we offer bulk tanks for larger operations. 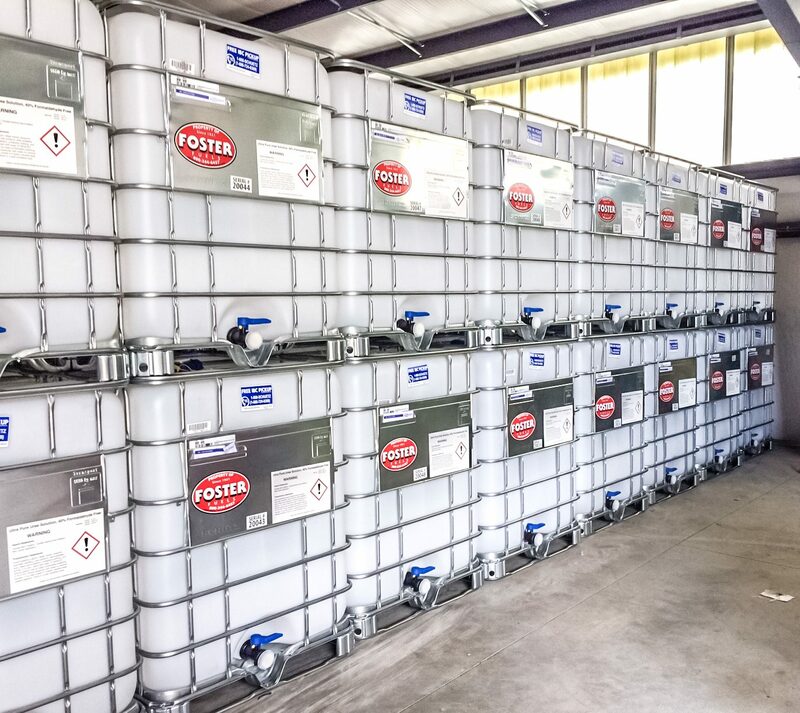 To get more information on Diesel Exhaust Fluid, and to get a price quote, call Foster Fuels today at 800-344-6457, or contact us via our website. Thank you…I feel proud to be one of your customers.